The best he could find? Trump's unqualified nominee was the equivalent of a slap in the face to veterans like me. The president of the United States has a serious job with deadly serious responsibilities. Rash and impulsive decisions by him can lead to negative outcomes and distractions that undermine the strength of our nation. The nomination of Rear Admiral Ronny Jackson for Veterans Affairs Secretary, and his subsequent withdrawal today from consideration after days of scandal, is a perfect example of the ongoing crisis of leadership happening in the White House — and its potential consequences. 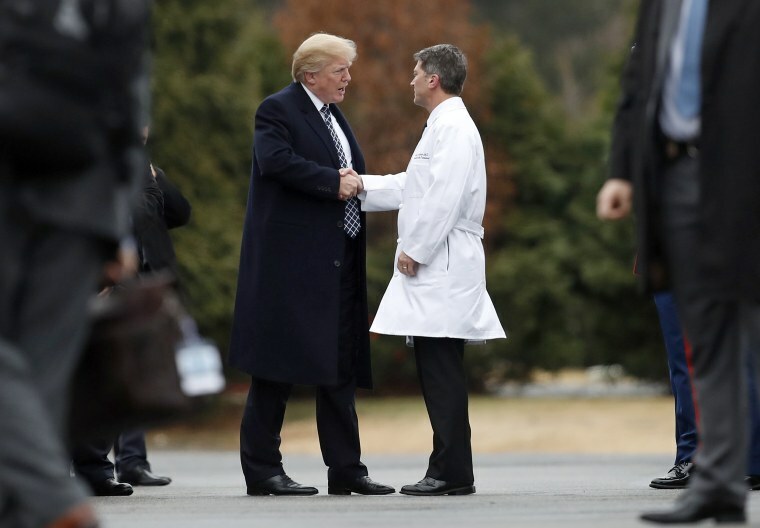 Donald Trump nominated Jackson because, well, he is Trump’s doctor at the White House. On its face, this relationship is a ridiculous standard for such an important position. The VA secretary runs the second largest federal agency in the country, providing services to American patriots who risked everything in service to this nation. Jackson may be an adequate doctor (although recent allegations give one pause), but he was acutely unqualified for such a post. Incredibly, the rest of America seemed to figure this out pretty quickly — much quicker than the president or his team. Trump claims to love and support veterans, but his nomination of someone like Jackson is the equivalent of a slap in the face to any man or woman who has worn the uniform. Broadly speaking, what this debacle teaches us is that Trump and his White House have no shame in putting friends — not the best person for the job — in positions of power. It’s how he ran his business for years, so it shouldn’t exactly be surprising that he prefers loyalty over qualifications. What other rationale is there for why Trump’s son-in-law Jared Kushner is still a White House Senior Advisor despite Kushner’s inability to obtain a permanent security clearance? My district in California is home to the largest VA facility in America so I take the president’s carelessness on this issue seriously. 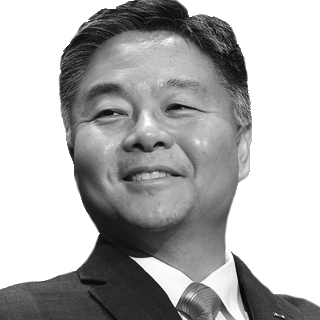 When the president announced Jackson’s nomination in March, my colleagues in Congress had almost no information about him — nothing on his experience running operations for medical facilities, nothing on his stance on VA privatization (a Trump administration priority that I believe would ravage veterans’ care) and nothing on his experience working on the unique needs of our veterans. Given the chaotic and slipshod vetting process, it’s perhaps not surprising that more than 20 current and former service members have since come forward with consistent stories alleging very questionable behavior and judgment from Jackson. These stories include allegations that Jackson created a hostile work environment, over-prescribed drugs and got drunk while on duty. The Trump administration is embarrassing itself and wasting precious time and resources that would be better used nominating serious candidates for the multiple critical vacancies that still exist. Put simply, the Trump administration is embarrassing itself and wasting precious time and resources that would be better used nominating serious candidates for the multiple critical vacancies that still exist throughout our government. In the last year alone, the Trump administration has seen more high-level departures than any modern presidential administration. Of the top 21 White House and cabinet positions, nine have already turned over. In contrast, President Barack Obama had two such changes, and President George W. Bush had one official leave during the same period. Moreover, apparently more than 30 White House staff lost their interim top-secret security clearances. While these departures are concerning, it’s the people that need to leave but haven’t that represent the bigger problem. From EPA Administrator Scott Pruitt’s corruption and seemingly unending list of conflicts, to HUD Secretary Ben Carson’s lack of housing policy experience, to the fact that Education Secretary Betsy DeVos has never sent her children to public school and appears to have never been inside one, to Energy Secretary Rick Perry admitting he didn’t know his department oversaw nuclear facilities, it’s clear Trump has filled the highest levels of our government with people who are at best incompetent and at worst corrupt. While these departures are concerning, it’s the people that need to leave but haven’t that represent the bigger problem. Trump has filled the highest levels of our government with people who are at best incompetent and at worst corrupt. I’m glad Jackson withdrew his nomination but I’m sorry that it took a widening scandal for it to happen. Given the multiple disturbing allegations against Jackson, he should now be investigated by the Navy’s Inspector General to see whether he is fit to continue to be the physician to the president. Trump bragged about hiring only the “best people” when he was running for president. We’re seeing, time and again, the opposite. It’s unclear whether the president’s definition of “best people” is different than ours, or if the “best people” simply aren’t interested in working for him. Either way, the American people — and especially our veterans — deserve better.